Delivery has always been a rough business. Since time immemorial, couriers have braved the elements, gotten by on meager wages and dealt with annoying customers, growling dogs and fifth-floor walk-ups, all for the chance of a big tip from a happy customer. But thanks to two Silicon Valley upstarts, even those tips are in doubt. 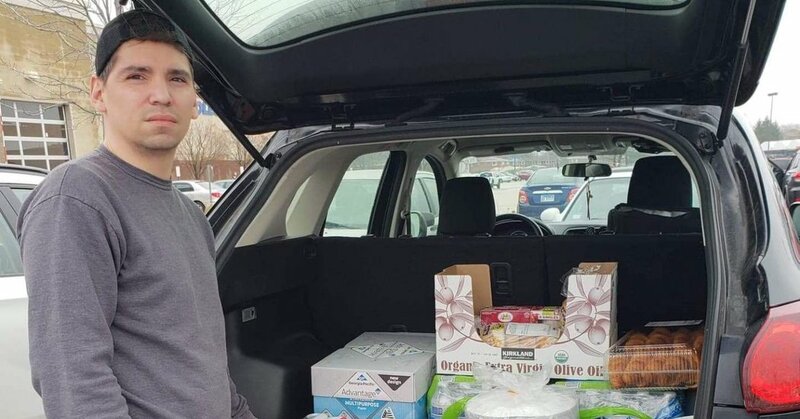 “It’s offensive, it’s unethical and in this climate, it’s a very dumb thing to do,” Matthew Telles, an Instacart courier based in Chicago, said this week. Ashley Knudson, a Seattle-based Instacart worker, said she felt “cheated” by the company. “I have gone from making $1,000 a week and providing for my family to now, if I’m lucky, making $600 a week,” she added. But even by gig economy standards, the tipping policies of Instacart and DoorDash seem diabolical. The drama began last November, when Instacart put into effect a new method of paying its contract workers, who are known as shoppers. Previously, Instacart’s shopper pay was determined by an algorithm that factored in a fixed base payment for each order, along with a per-item bonus and extra payments for certain tasks, such as delivering over long distances. Under the new model, Instacart presented shoppers with a single, itemized “earning estimate,” and guaranteed them a $10 minimum payment for each batch they accepted. But Instacart shoppers began to notice that for some orders, the tips customers added during checkout were being counted toward their $10 minimums, rather than being paid out on top of them. In some cases, the bigger the tip, the less the company seemed to pay. DoorDash, whose minimum-pay guarantee varies based on order size, distance and other factors, has had a similar tipping policy in place for “dashers,” as its delivery workers are known, since 2017, although it mostly escaped scrutiny until last week. These tipping models aren’t strictly new. Neither is worker anger at Instacart, which has frustrated shoppers with sudden pay changes in the past. But they have received renewed attention in recent weeks, as workers have united in opposition to the industry’s most exploitative practices. Angry shoppers have gathered in Reddit forums and Facebook groups to exchange frustrations and collect shocking examples of low pay, like a receipt submitted by an Instacart shopper who was paid a total of $10.80 after a $10 tip. Following an internet uproar, Instacart explained that the order had been an “edge case,” and said it was implementing a $3 minimum “batch incentive” to prevent such incidents in the future. In another example, two shoppers with identical Instacart batches were paid $10 — the guaranteed minimum — even though one received a $2 tip and the other a $6 tip. In the case of the $2 tip, Instacart’s “batch payment” came to $8; in the case of the $6 tip, Instacart paid only $4. “We started to notice customers who said they tipped, but a lot of times we wouldn’t see the tips,” said Kaylania Chapman, an Orlando-based worker who delivers orders for both Instacart and DoorDash. Working Washington, a union-backed labor group based in Seattle, has collected more than 1,500 signatures of Instacart shoppers who object to the company’s pay practices. Some are asking for cash tips outside the app, while others are encouraging customers to leave 22-cent tips — a nominal amount meant to show solidarity with workers — through the app and then adjust the tips higher after a delivery has been made. For longtime gig-economy workers, the latest flap over delivery tips is just one skirmish in a long, wearying struggle that involves coping with opaque policies, dizzying technology changes and black-box algorithms that penalize them for minor infractions. But recently, some gig workers have had success pushing back. Drivers for Uber and Lyft in New York successfully agitated for a citywide minimum wage that went into effect this week. Postmates, another high-flying start-up, recently settled a class-action suit with thousands of delivery workers who contested the way the company classified them as contract workers. Mia Kelly, a Washington-based Instacart shopper, said that she stopped accepting Instacart deliveries after the new pay practices kicked in. Representatives for Instacart and DoorDash — both of whom initially tried to cloud the issue by claiming, correctly but extraneously, that “workers receive 100 percent of their tips” — eventually admitted to counting tips toward workers’ guaranteed minimums after I repeatedly pressed them on it. But they denied that the policies were misleading or unfair. “We’re constantly reviewing and evaluating feedback from our shopper community to ensure they’re competitively compensated for the work they’re doing on behalf of our customers,” said David Hahn, Instacart’s chief product officer. But this is all semantic tap-dancing, meant to distract from the core problem: Instacart and DoorDash, two Silicon Valley giants that could afford to pay workers a fair wage, have figured out a clever way to use customer tips to lower their labor expenses. Lawmakers may ultimately call foul on these policies. (Representative Ro Khanna, a Democrat who represents parts of Silicon Valley in Congress, told BuzzFeed News that Instacart’s tipping policy was a “deceptive business practice that should end.”) Instacart workers have urged customers not to boycott the company, which would cut even further into their earnings. But ultimately, with so little legal protection afforded to gig-economy workers, it may be up to customers to demand accountability and more worker-friendly policies. Elizabeth Haslam, a California-based DoorDash customer who has spent more than three years placing orders from the delivery service, told me on Tuesday that she was “shocked” to learn about the company’s tipping policies.